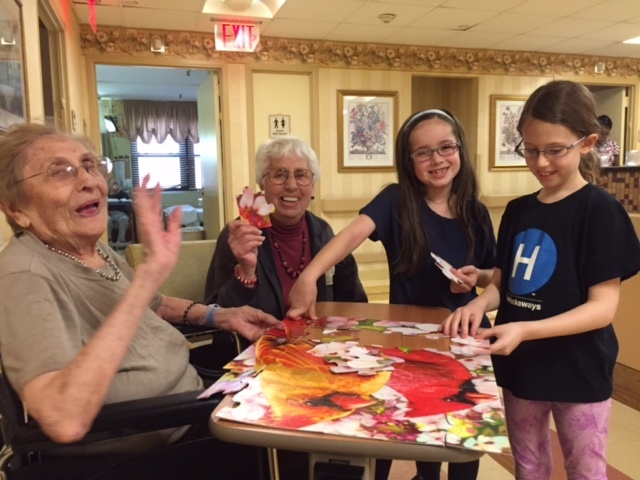 Today I took another friend to the nursing home to solve puzzles and spend time with the seniors. We saw an elderly woman with her son, they were visitors. They were very sad because her husband had a stroke and is not doing well. The elderly woman and her son were very quiet and seemed very unhappy. We asked them if they would like to help solve the puzzle with grandma. Even though they do not have dementia, it made them feel better to think about something else. We were all very happy when the puzzle was solved. Sometimes, caregivers need to give other caregivers some "care". We are not alone! We all go through tough times and it makes us feel good to support each other! !